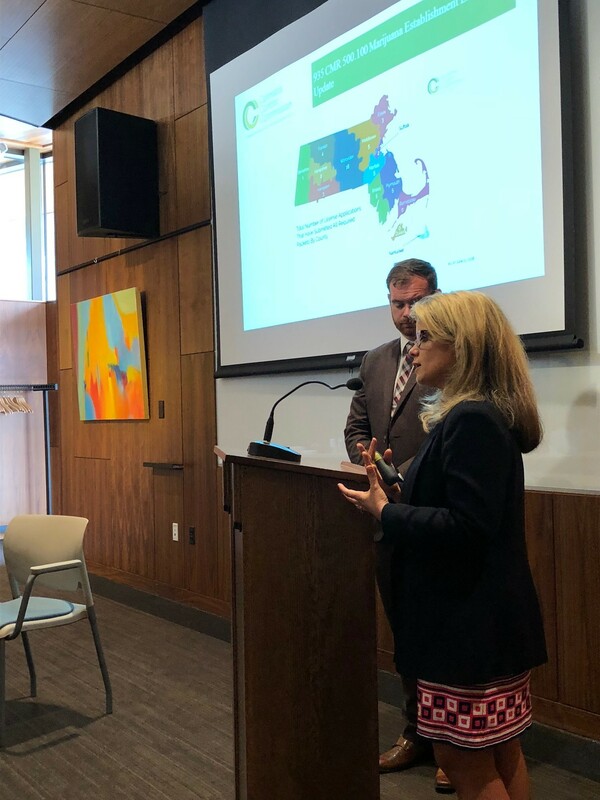 We were pleased to host Commissioner Kay Doyle and Director of Government Affairs David Lakeman at the FRCOG on 6/7 for a review of the final Massachusetts Adult Use Marijuana regulations. Click here for the slides. Interested in new initiatives and our progress on current FRCOG projects? Check out the link below for quarterly updates presented to the FRCOG Council in April. 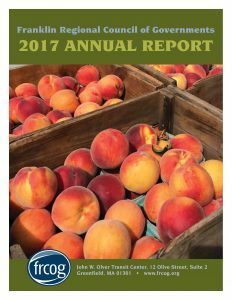 FRCOG 2017 Annual and Town Reports Are Here! 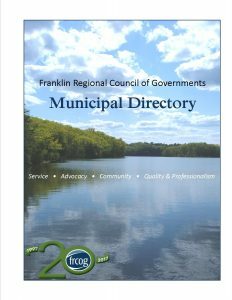 The FRCOG is pleased to present the 2017 Annual and Town Reports, highlighting the work and accomplishments of our programs and Franklin County communities. Please click on the image above or this link to access the reports. The Deerfield River, a major tributary of the Connecticut River, is widely regarded as one of the coldest and cleanest rivers in Massachusetts. The watershed supports a wide variety of ecological, recreational, and commercial uses. There are many active stakeholders who have a vested interest in maintaining the high quality and climate change resiliency of the watershed resources, including wetlands, floodplains, riparian corridors, forests and other vegetated open spaces that help to mitigate the impacts from severe storm events and flooding. FRCOG’s comprehensive watershed-based plan identifies mitigation, restoration, preservation and avoidance projects/strategies that address multiple threats to watershed health and resiliency. The recommendations apply to various scales – the Deerfield River Watershed, its ten HUC 12 subwatersheds and the 14 watershed towns in Franklin County. The plan is available here. The FRCOG is pleased to make available the all-new digital municipal directory, with contact information for every board and department in every town. Our thanks to town hall staff for providing the information. Click here to access the directory. FRCOG Planning staff assisted the Town of Wendell’s Agricultural Commission, along with the Wendell Energy Committee, with a Community Food Assessment in 2017. The focus of the assessment was to determine the level of interest of residents to buy more locally produced food, and to determine what types of foods are already being produced in Wendell. Findings of the Community Food Assessment Survey can be reviewed here. A directory of food producers and food-related resources has been developed and will be published by the Wendell Agricultural Commission in early 2018. 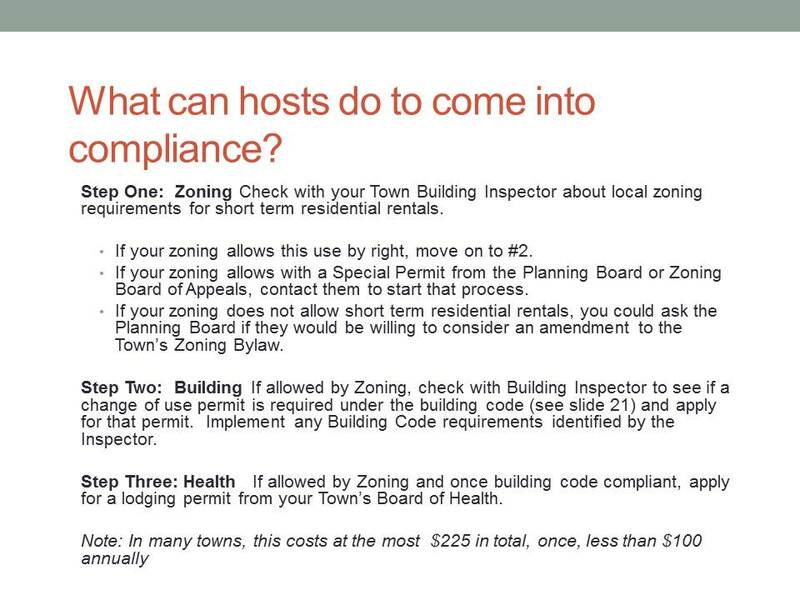 Link to DPH Memo clarifying that short term rentals qualify as public lodging and need a lodging permit from the Board of Health. Summary of Lodging requirements and definitions in the 14 member towns of the Franklin County Cooperative Inspection Program. Read the FRCOG Quarterly Updates! Here are the updates we gave our Council members at their quarterly meeting on July 20 – full of information on the work of the staff and committees over the last quarter!